Interstate Removalists Australia with more than 15,000 Customers ""
Since 2007, You Pack Removals™ team of dedicated in house customer service staff, and fleet of trucks has been helping thousands of Australian’s move their goods around the corner, and across the nation. 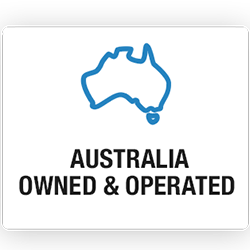 We are also 100% Australian owned and operated! Plus… we’ve been ranked 37th in the BRW Fast 100, and ranked 7th in the Start up Smart Awards. Quite simply, because we’ve built a reputation for excellence and personal service You Pack Removals™ has quickly become Australia’s number one residential and commercial self pack interstate removalist of choice when it comes to moving and storing your goods. 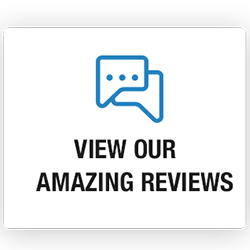 Please click here to read our customers reviews on Yellow pages , Product Review , True Local websites. 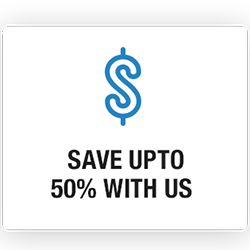 In fact You Pack Removals™ has been developed around the simple premise that a DIY container is a far more efficient and cost effective way to move and store your belongings than the traditional way of moving goods using a cheap interstate removalist company with trucks. 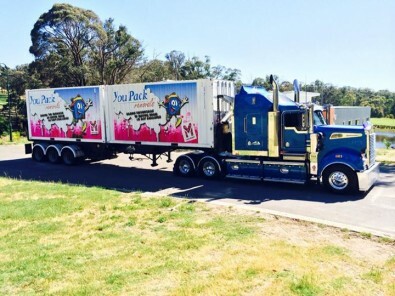 As Australia’s Self pack removals company of choice, we do it differently, which is why we are the leaders in the industry and have set the benchmark for self pack removals around the nation. By bringing the container to YOU the customer and simply getting you to complete the packing yourself You Pack Removals™ has removed some of the more demanding aspects of moving interstate. 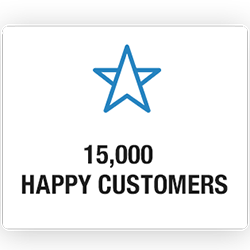 Over the years we’ve continued to provide our customers with an exceptional experience, and focus our commitment to customer satisfaction based on this simple model. However, we also understand that the marketplace constantly changes, so we change with it to always deliver quality products and innovative services back to you the customer. We provide all customers with a Premium Removal Service, as well as a number of other initiatives that are aimed at consistently providing our customers with a highly professional, streamlined and complete moving experience. With 21 depots around the nation and our head office in Laverton North Melbourne, we have the ability to accommodate ALL moves from EVERY location within Australia. You Pack Removals™ has quickly become the preferred moving and container services company to Australians nationwide, and saved them thousands of dollars in the process. WANT TO KNOW MORE ABOUT HOW WE MOVE? We specialise in offering our customers cost effective moving options whereby the customer loads and unloads all of their belongings into a shipping container. -> 40’ General Purpose or High Cube Shipping Containers which are suitable for 5 + bedroom homes. As part of our service we also provide storage options for containers at the customer’s property, or at one of our You Pack Depots found Australia wide. In addition to interstate removals, You Pack Removals also offer transport and storage solutions for cars, boats, machinery, general freight, and commercial clients. We also have a network of transport equipment depots Australia wide, and all locations have specialised equipment for container transport and general freight. 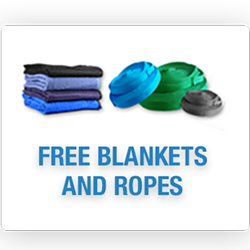 Because of our ability to offer our commercial and residential customers a complete end to end solution for all of their transport needs, since 2007 we’ve cemented ourselves as a key service provider not only within the self pack removals industry and event freight industry, but also within most commercial industries Australia wide. Some examples of our customers include: MTV, Telstra, CSIRO, Openair Cinema, Miss Muddy, Ozmosis, Clifton Productions, Jack Morton World Wide, Imagination, White Label Events, AZB Creative, Amplify Events, Super Sprint Events and Sold Out National Event Management. We have such a diverse and stellar client list because of the flexible and professional approach we apply to every project no matter how big, or small down to the very last detail. We are happy when our clients are happy! Combine this with our unique business model, and it is not hard to see why we are the clear choice for thousands of customers around the nation. That’s why we have become the benchmark interstate transport company for businesses and home movers Australia wide. So why go anywhere else your interstate removalist search stops here! WANT MODIFIED AND BRANDED CONTAINERS? WE CAN DO THAT TOO. At our head office in Melbourne we also perform modifications of containers for display and event use. In house we also have a full branding setup–printers, cutters, laminators which can be used for all forms of stickers, vinyl wrapping, lettering, and branding purposes. We also currently complete ongoing work for a range of commercial and event companies Australia wide. With a national team of skilled, dedicated and professionally trained interstate removalists, you’ll know that your goods are always our number one objective! And besides, our dedicated customer service team will hold your hand throughout the entire journey, offering friendly support, advice, expertise and the results you’d expect from Australia’s number one Self Pack Interstate Removals and Container Transport Company. You Pack Removals™ will make your move simple, easy, and enjoyable. It’s this sort of versatility and care that has made You Pack Removals™ the interstate removalist company of choice: from families and small businesses to leading Australian companies around the nation. You Pack Removals™ are also known for giving sound advice on the best way to pack your belongings to wherever your life takes you, and for an impeccable reputation in getting your goods from A to B without a hitch. Over time we’ve built a reputation for fair and honest business dealings with customers and fellow movers. That’s because You Pack Removals™ takes pride in providing accurate, exact, ‘No Surprises’ quotes that are highly articulated and free to prospective clients. Most people agree that when it comes to interstate removals You Pack Removals™ is the leading company of choice for Australian’s, because we truly care about YOU. Whether you’re moving nation wide or just around the corner, with our focus and commitment to customer satisfaction, we will ensure that your move is stress free and that your treasures are moved and stored safely and securely.